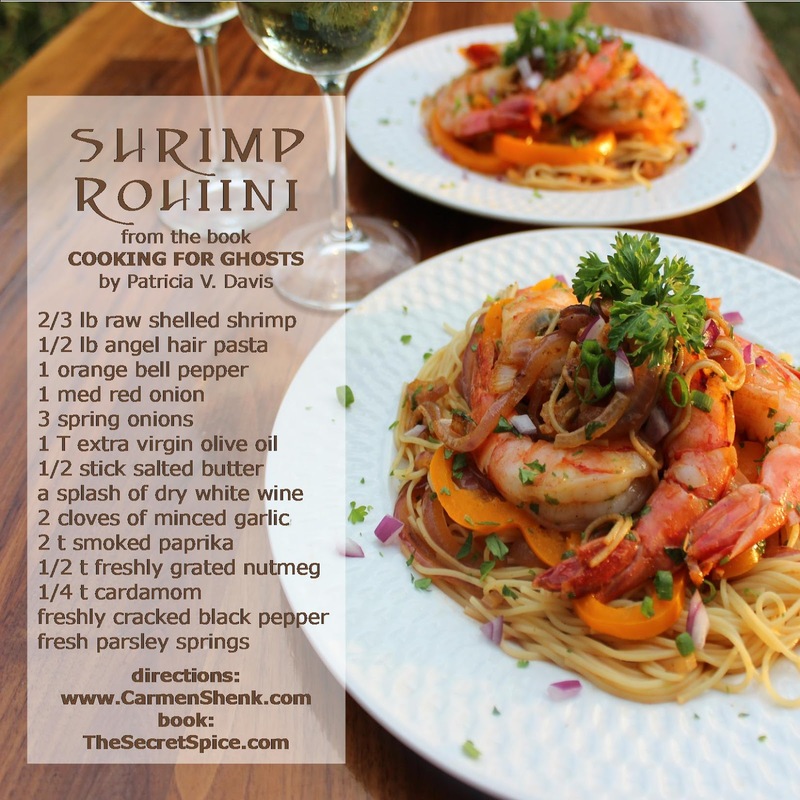 I recently read Cooking for Ghosts by Patricia V. Davis and came across this fictional dish “Shrimp Rohini” and I knew right away I had to make my own version. Cynthia, Rohini, Jane, and Angela meet on a food blogging site and bond over recipes. 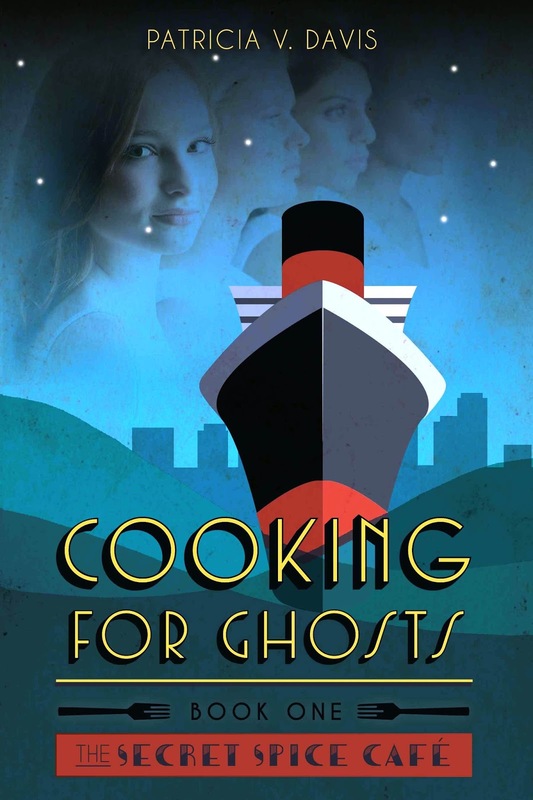 On impulse, they decide to open The Secret Spice, and elegant cafe on the magnificent ocean liner, the RMS Queen Mary, currently a floating hotel in Long Beach, California. 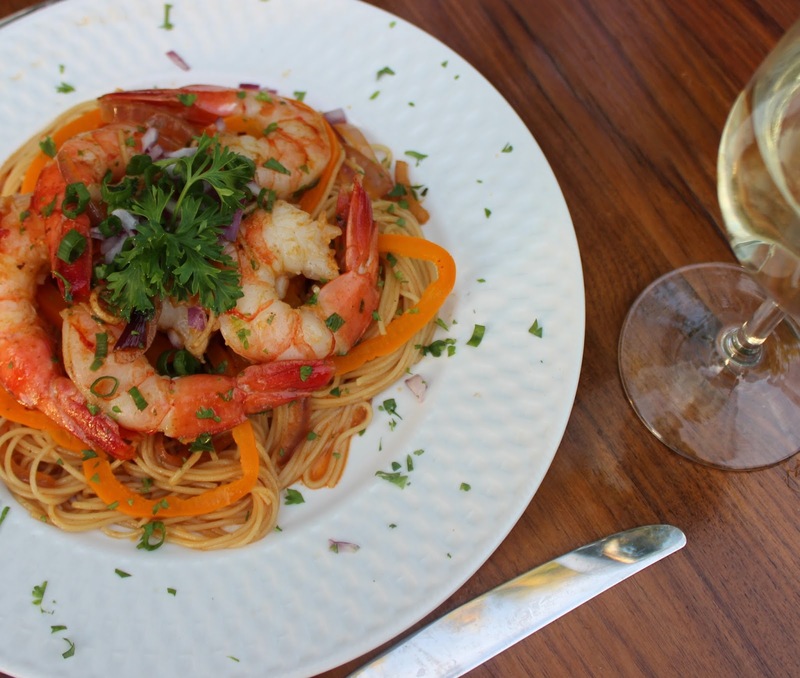 Chef Christiano creates this shrimp dish in honor of the beautiful and exotic Rohini, an herbalist from India. This magic of this dish is sprinkled through the story and I don’t want to give away one more detail… you’ll just have to get your own copy to see what I mean. Suffice it to say I really wanted to create my own real-life version of this fictional (maybe even magical) dish. The characters in the book don’t give us many clues to their secret spices, but nutmeg is mentioned a number of times among Rohini’s stash of herbs and spices. Nutmeg has long been one of my favorite spices, especially in savory foods. I’ve been making chicken sprinkled with freshly grated nutmeg for years, and nutmeg is sometimes the secret spice in Italian cooking. Another of my favorite secret spices is smoked paprika. Sorry, regular paprika just won’t do. Smoked paprika is no longer difficult to find, thankfully, and it is a marvel! If you haven’t already tried it, cut up your favorite kind of potatoes and toss them with olive oil, sea salt, freshly cracked black pepper, and smoked paprika, spread them out on a pan covered with parchment paper and roast them in the oven. It’s so simple, but it’s wonderful! Cardamom is one of India’s secret spices, it’s rich, complex, and exotic. I had a dish at my favorite Indian restaurant that sent me home trying to recreate it, and of course cardamom was the secret spice ingredient. Yum! 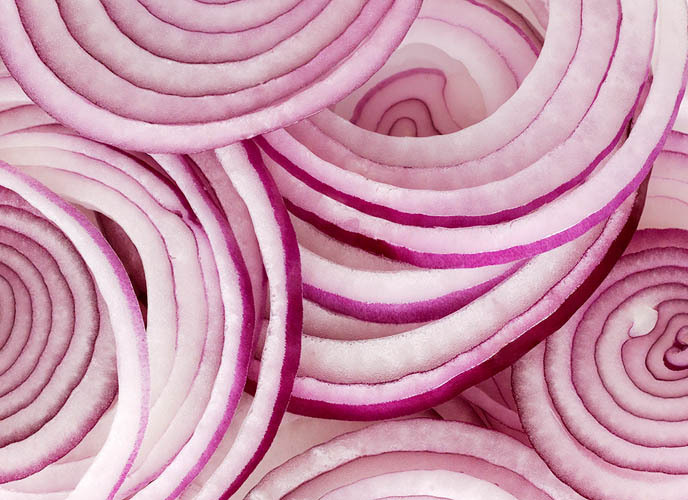 I’ve paired these three marvelous spices with the sweetness of sauteed onions, a hint of garlic, and the bite of freshly cracked black pepper. If you’d like to add heat to this dish, add a dash of your favorite cayenne pepper. This is how I imagine Chef Christiano’s Shrimp Rohini. From start to finish this recipe goes very quickly, so it’s best to be prepared and focused. Start the pasta water and cook the angel hair pasta al dente, which happens quickly. Drain the pasta and add the bell pepper rings, and cover to allow the thinly sliced pepper rings to steam. In the bottom of an enamel dutch oven, bloom the smoked paprika, nutmeg, and cardamom by gently stirring them in the dry pan over high heat until you begin to smell their fragrance. Then add the olive oil and butter and stir until the butter melts. This deepens the flavor of the spices. Then add the sliced red onions and finally minced garlic and cook until the onions are soft. Deglaze the pan with a splash of your favorite dry white wine. Add the shrimp and saute quickly, watching them carefully. Just when they begin to lose their translucent quality add the pasta and peppers and toss it all together, tossing to coat the pasta in the flavorful spices. Plate immediately. 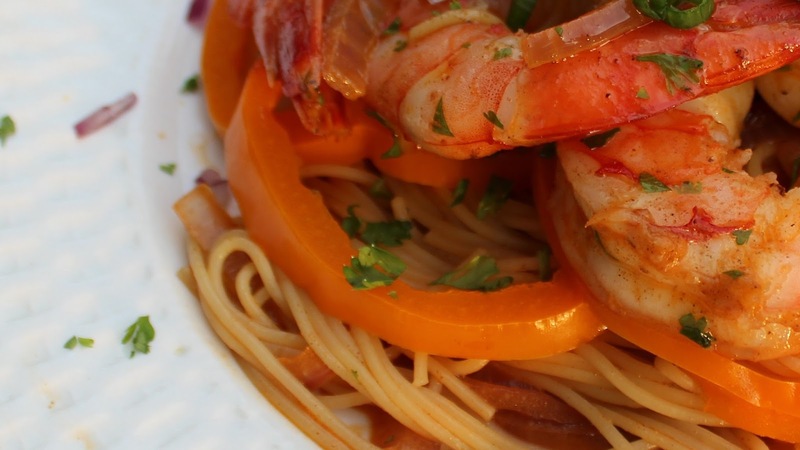 Use tongs to grab the pasta and plate it by twirling it into the shape of a nest, then top it with the shrimp. Garnish the dish with the sliced spring onions and fresh parsley. And finally, finish with a sprinkling of freshly cracked black pepper to taste. Serve immediately. You may notice that I didn’t put additional salt in the recipe. As much as I love sea salt (and Manfriend will tell you that I like it a little bit too much) using salted butter may be just the right amount of salt for this recipe. But as always, salt and pepper to taste. 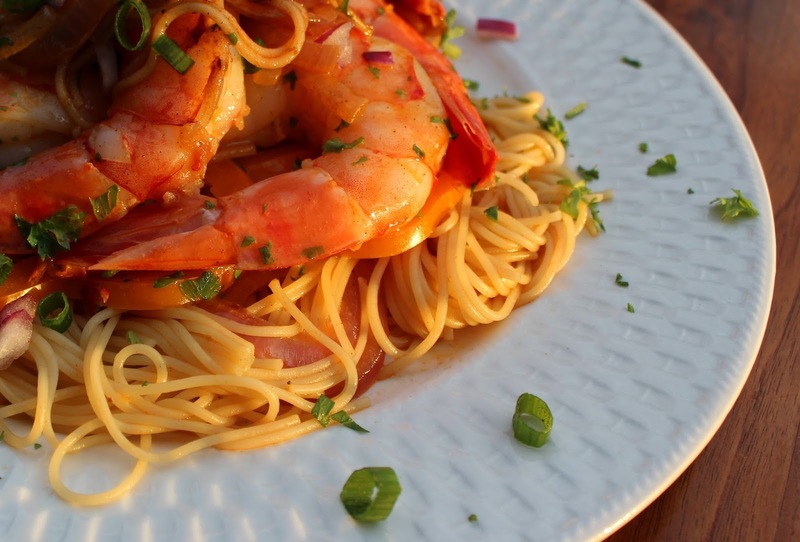 I’ve made the recipe a number of times now, once with quite large shrimp, and then again with smaller ones and I was surprised to find that I preferred the small ones as the flavor seemed to permeate into the shrimp better. Try my Shrimp Rohini recipe and let me know what you think. And stay tuned, I’ve already got my eye on a number of the desserts mentioned in this book. Don’t you think Shrimp Rohini would be amazing with Angela’s Black Magic Lemon Tarts for dessert? I do. 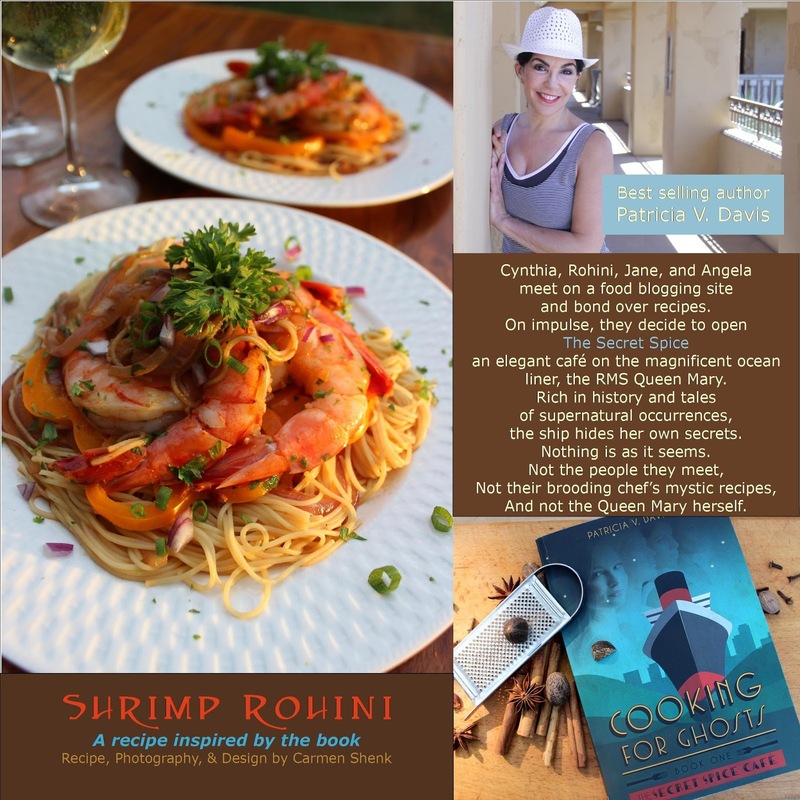 And last, but certainly not least… I’ve entered this Shrimp Rohini recipe in Novel Food, a project of Simona Carini, a food storyteller. Patricia V. Davis mentioned that I should check this out and I have fallen head over heals for this concept and look forward to adding more recipes as I have time. As a matter of fact, I really love the concept of a collection of recipes inspired by my favorite books, don’t you? To enter your own recipe, go here: http://www.pulcetta.com/2016/09/announcing-novel-food-28.html. All the delicious details are there, along with links to previous editions. I looked through a few and everything looks delicious. What a delightful concept for that book, and I do want to read it. Your inspired recipe is calling me as well, with all those spices I love. Thank you Claudia. Let me know what you think if you try the recipe. Smoked paprika with seafood is a combination I haven't tried before but it sounds good to me. There can't be anything better than a magic dish. I would be interested in hearing what you think once you're tried it. 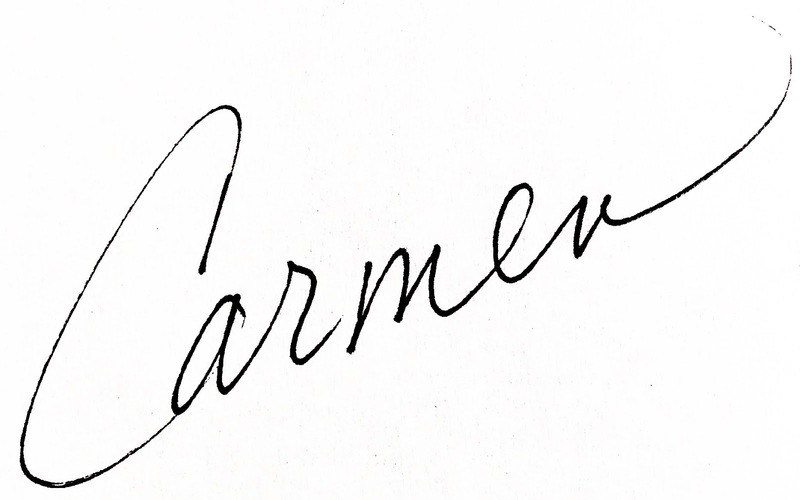 You are totally right, Carmen, once you try smoked paprika the regular kind won't do any more. 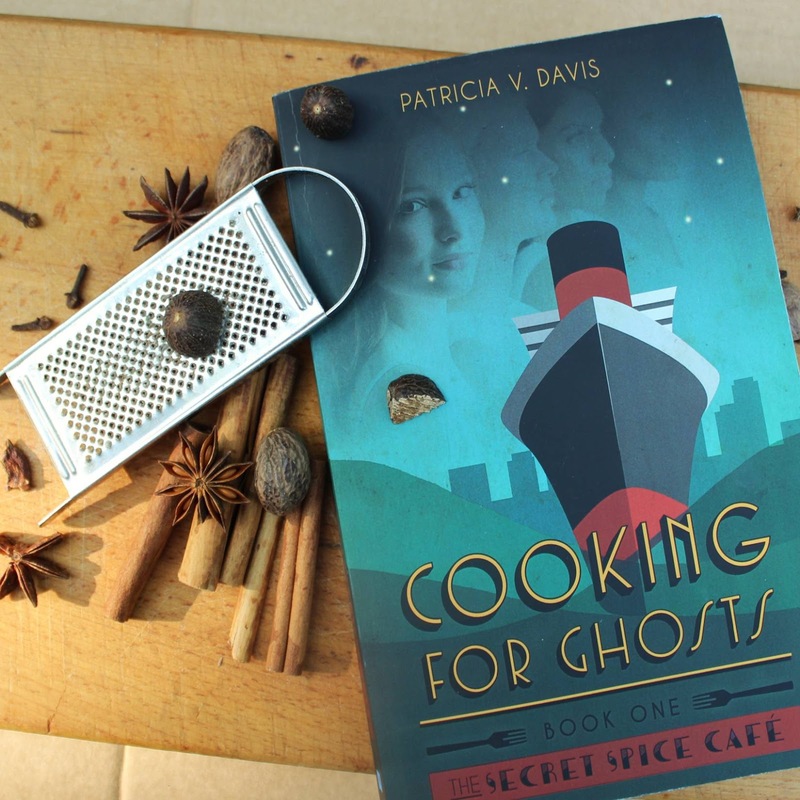 I love the story of how you put together the spices for the dish inspired by the book. Thank you so much for contributing to Novel Food! Thank you Simona, it is a pleasure being included! I'm simply stunned by this: the fact that words could have had a part in creating something so perfect and delicious. 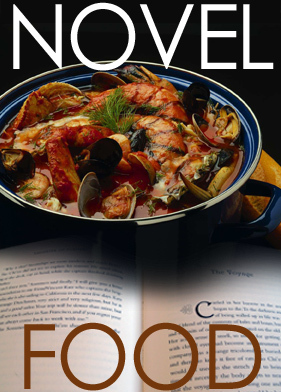 But of course, that's what NOVEL FOOD is all about. Thank you to Simona who came up with such a fun and brilliant idea, and Carmen, these are BEYOND. It's not even 9 a.m. here and now I want shrimp! I see nothing wrong with shrimp for breakfast or brunch! lol!